[SatNews] Telenor Satellite Broadcasting (TSBc), a regional satellite operator delivering services throughout Europe and the Middle East, has launched a nexgen satellite network based on the iDirect's Evolution platform. 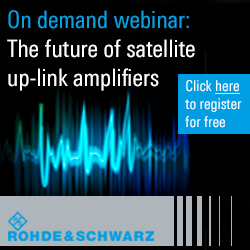 The operator’s new network makes valuable satellite capacity available to the region’s service providers. To power the network, TSBc has purchased an iDirect Universal 5IF Hub and installed it at its Nittedal teleport near Oslo, Norway. TSBc’s Evolution network will support a variety of Virtual Network Operator (VNO) customers who are looking to expand operations and capture new opportunities in EMEA. On land, the network offers always-on, dedicated IP broadband over satellite for service providers to extend terrestrial networks and deliver business-critical Internet, voice and data connectivity to remote areas for enterprise, government and military customers in the Middle East. TSBc’s network will also support service providers in Europe’s rapidly growing maritime industry, enabling high-quality, two-way dedicated and shared satellite services for a range of vessel applications across a wide coverage area. 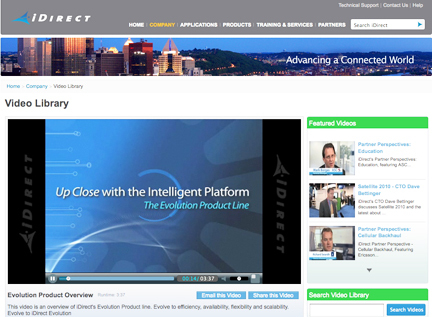 TSBc’s network is powered by iDX 2.0, iDirect’s latest software release for its Evolution product line. iDX 2.0’s efficiency and scalability improvements combine with Evolution’s next-generation bandwidth optimization, allowing TSBc to support bandwidth-intensive applications while maximizing its space segment so the operator can continue to grow. With Evolution’s built-in feature set, TSBc’s VNO customers can offer more reliable services to their target verticals. To bolster service quality for maritime applications, for example, iDirect’s Adaptive Coding and Modulation (ACM) technology automatically optimizes link availability during adverse weather conditions — ensuring maximum network uptime for critical operational and productivity functions. And to meet the stringent security requirements of today’s enterprise, government and military applications, iDirect’s advanced embedded encryption technology ensures that all sensitive data traveling across the network remains protected.